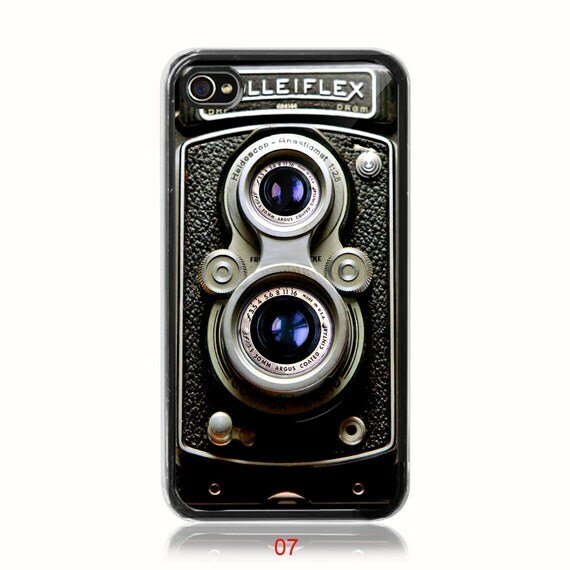 SUndabuLEshop‘s Rolleiflex vintage camera iphone case – love the retro style! 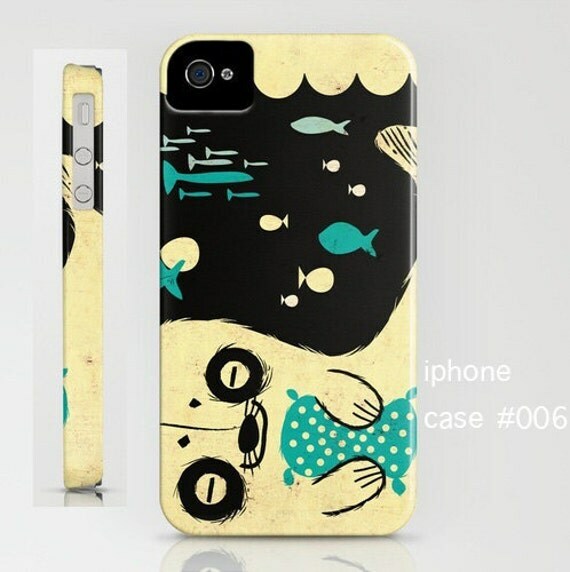 Pigologist‘s iphone case 5 design – I’m a sucker for cool illustration. Leese Design Cross Stitch iPhone Case sold at Purl Soho – perfect for diy-ers like me! So what do you think? Have you seen an iphone case worth sharing? Which one would you choose? I’m leaning toward the cross stitch simply because I’d be making my own. I love vintage children’s books, clothes, and toys! 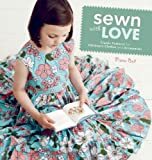 I buy mostly handmade or resale for myself and my kids, so I’ve been doing a little vintage shopping around this holiday season. 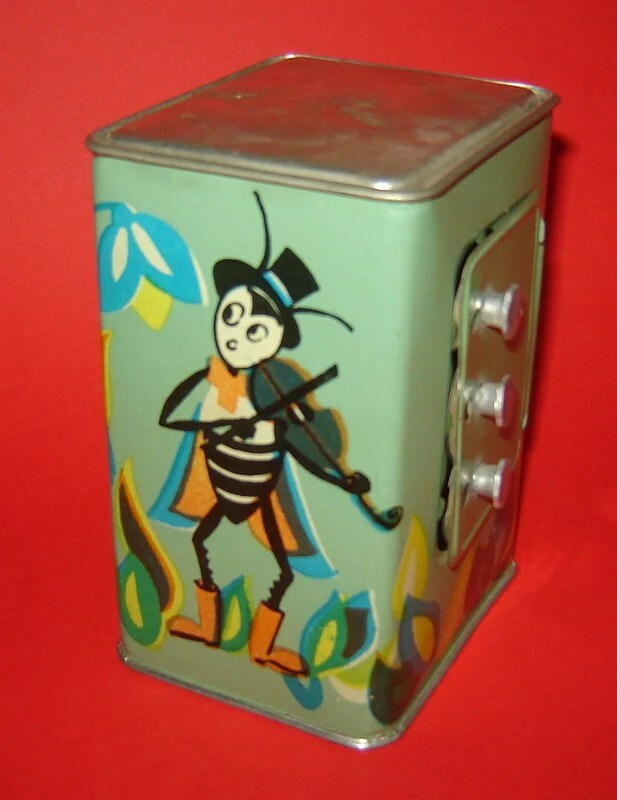 So here’s my list of vintage toys for girls AND boys for the holidays. My gift to you! 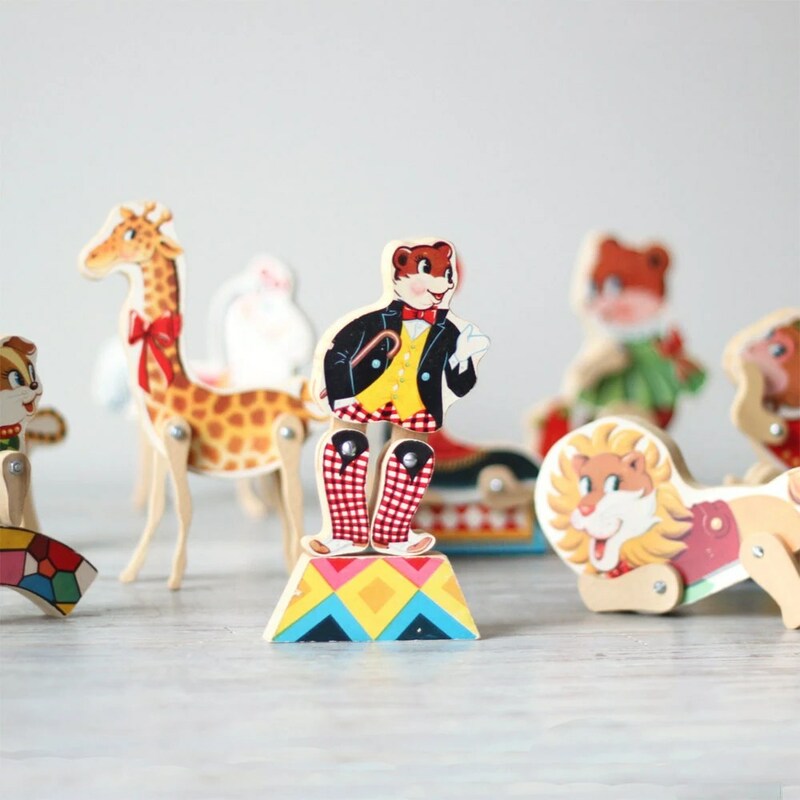 AMradio is selling an adorable vintage circus set for $86. 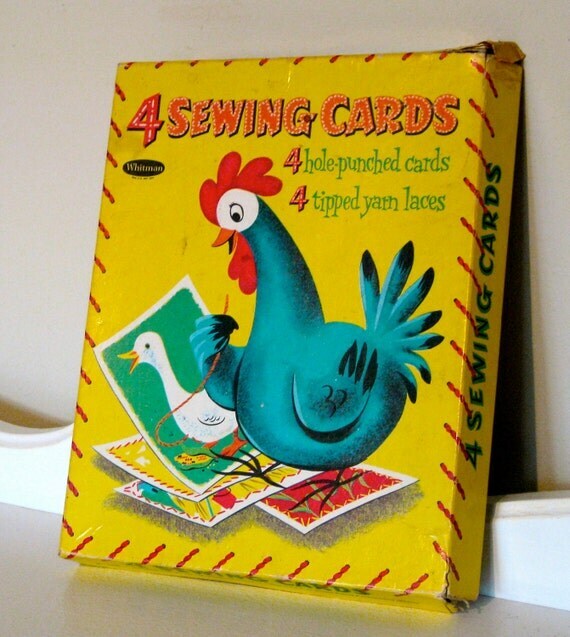 NehlandZotz has a really sweet set of vintage sewing cards with 3 EXTRA cards, all for only $20. RustyRoostersRags has an adorable and really durable looking duck rocking toy for $200. 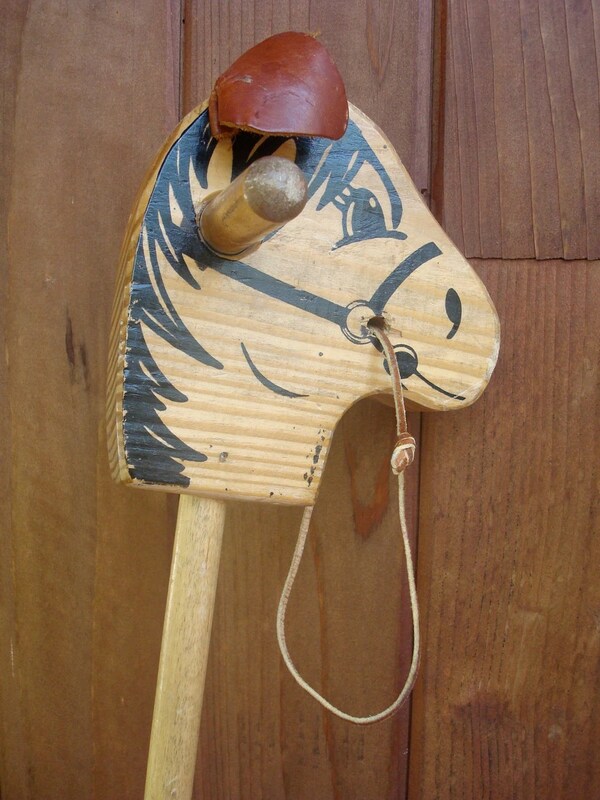 julesgraphix0 is selling this cute wooden hobby horse for $22. 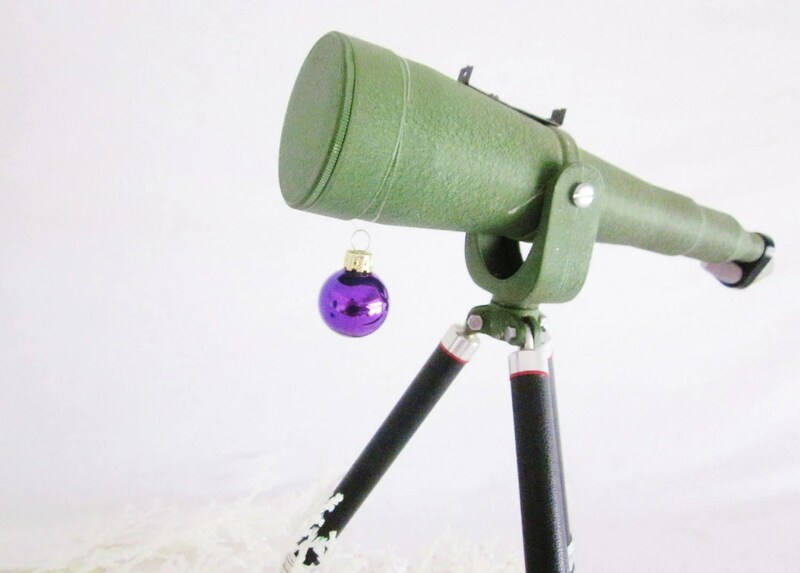 VintageRedPolkaDots has this great vintage telescopic eyepiece toy for $65. 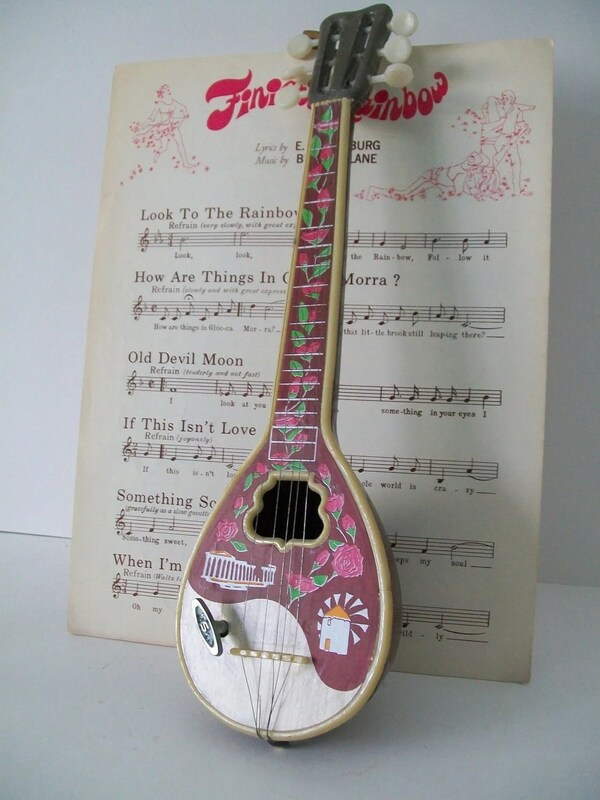 4EnvisioningVintage is selling this lovely greek windup toy ukulele for $35. 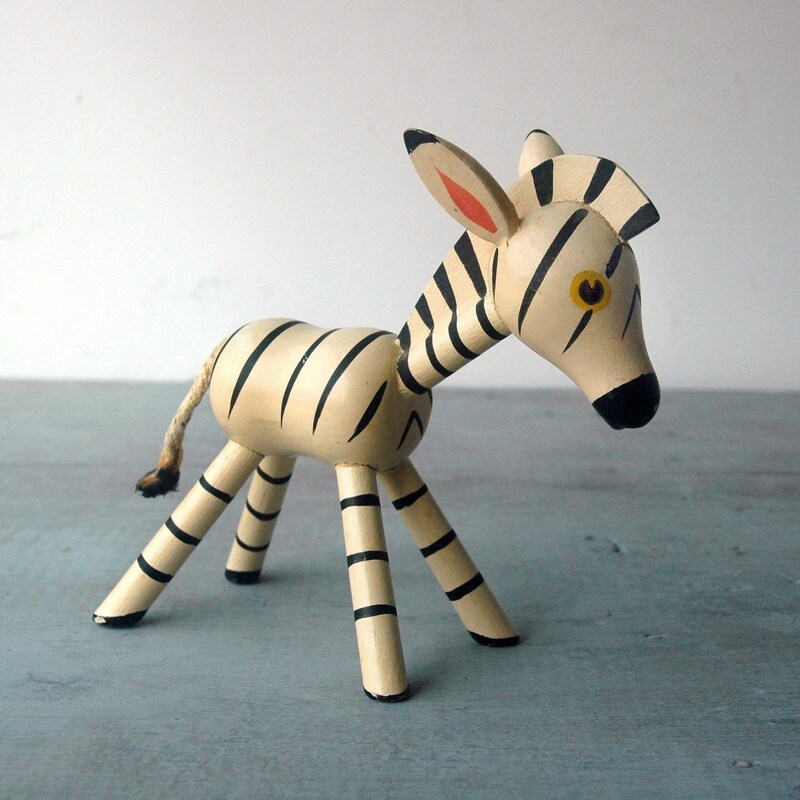 SwitchbladeandCookie are selling this adorable wooden zebra toy for $65. 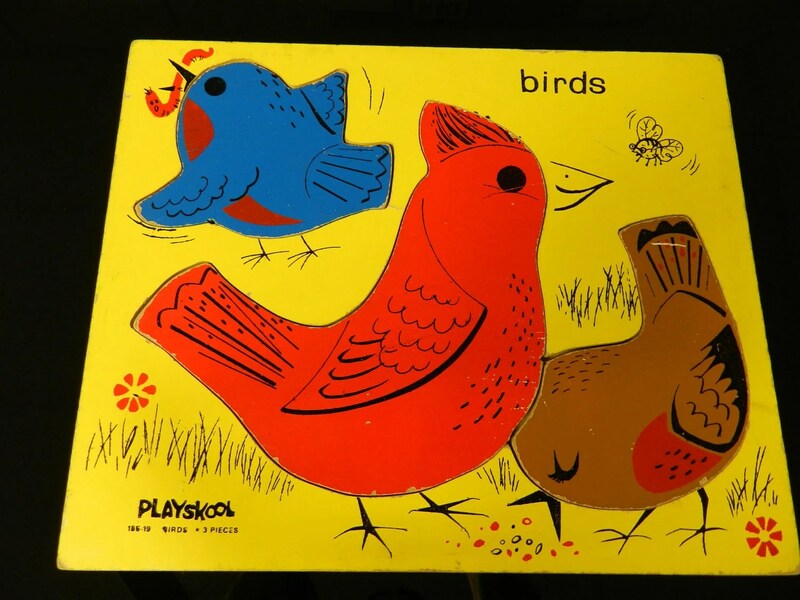 midlandmom is selling this brightly colored 60’s board puzzle from Preskool for $9.75. 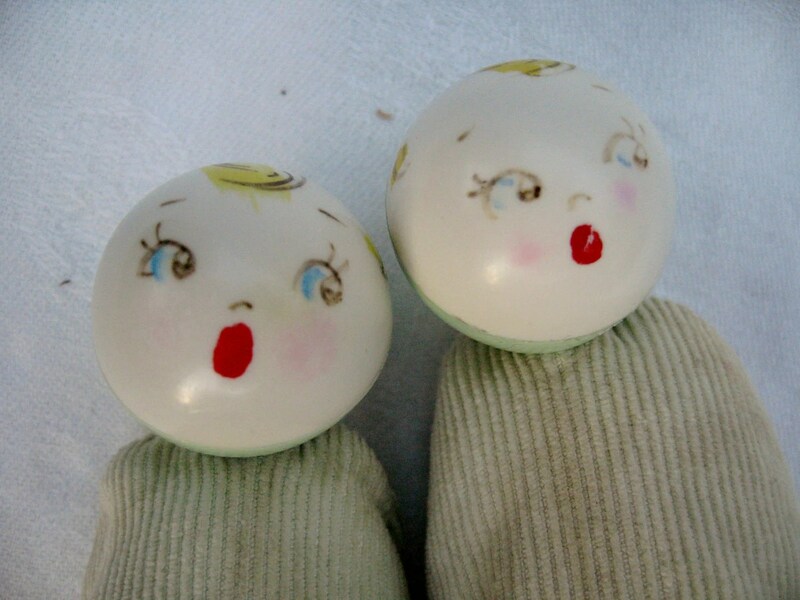 alleycatgirl is selling this 1950’s Krueger Rattle Baby Booties for $21. 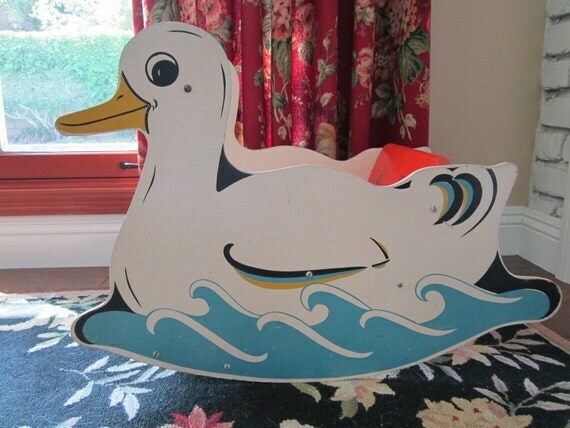 These are one of those items that makes you wish you had a baby in the house. I got PZ a Color Me Rocket for Christmas and we’re thinking its the perfect focal point for the new kids playroom we’re setting up in the basement. Here are some of my favorite inspirational items, possible purchases, and crafty outer space tutorials I discovered whilst researching what to do with this room. 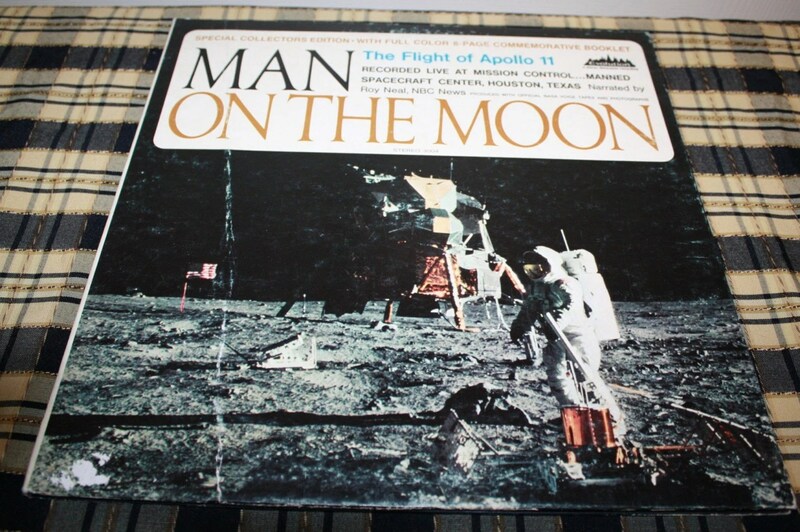 A Blast from the Past’s vintage Man on the Moon album and commemorative booklet of the Apollo 11 landing – Great atmosphere and educational too. Plus the Hubs would like this one so it would be a double hit. Stories Divinations 1939 Solar System poster – this has major vintage appeal and would be great in the music room or the hallway leading up to the playroom. Stickytiki’s Space Odyssey 1968 Reusable Decals – absolutely love the comic book feel of these. Invisible Fountain’s original outer space painting Neal Footstrong – strange and delightful. 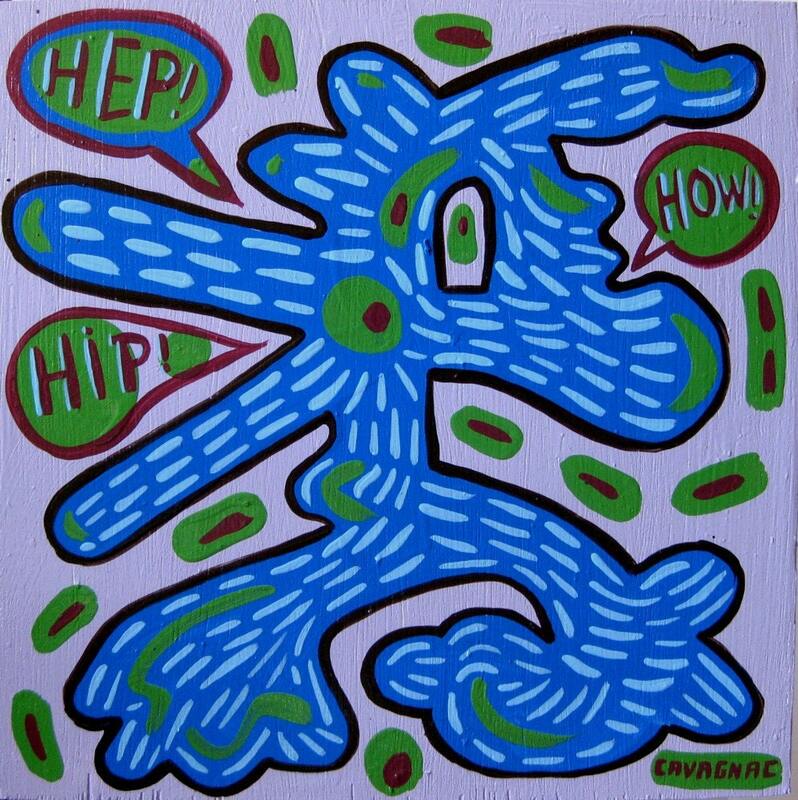 I like the bright, bold colors and the bebop sensibility. 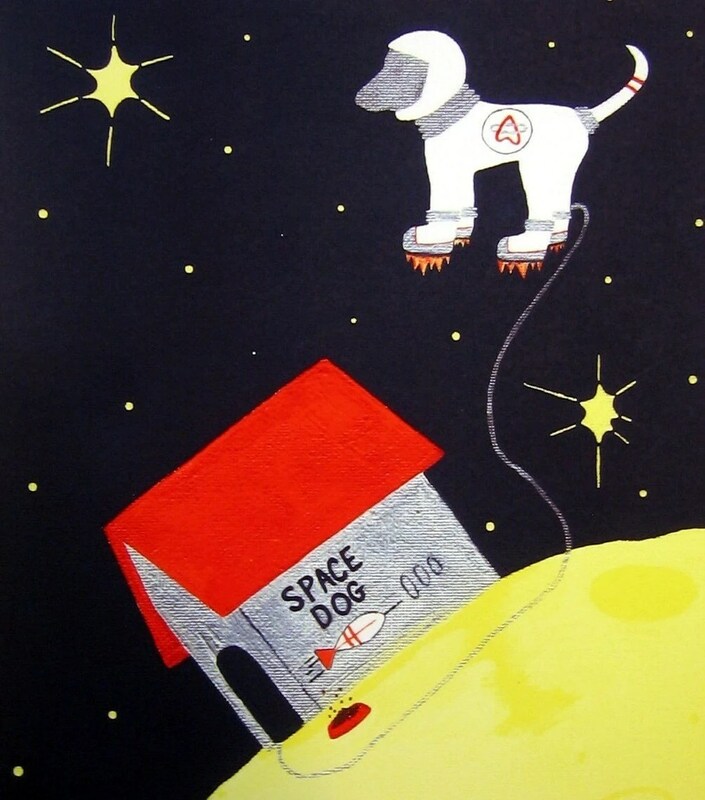 Cornflake Gurl’s Space Dog print – really sweet and thought provoking all at the same time. 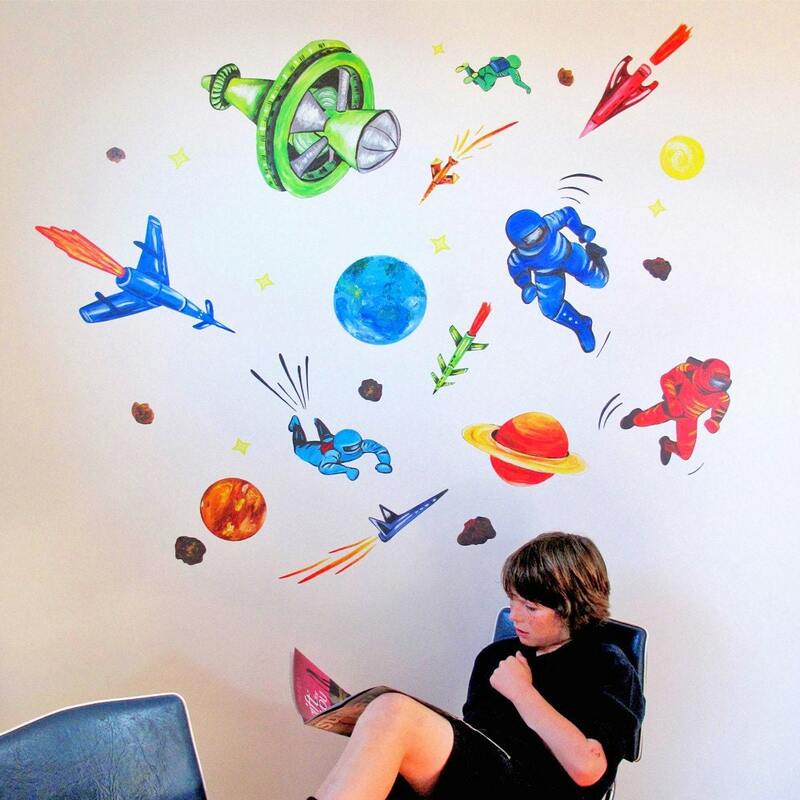 Fun Room for Kids‘ Outer Space hand painted, reusable wall decal kit – these are so fun and at $40 a LOT simpler than painting. 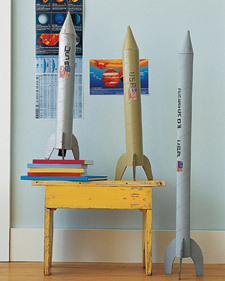 Martha Stewart’s carboard tube space ship tutorial – these would be fun to have hanging from the ceiling or just on a shelf as display. Mad in Crafts Laundry Monster tutorial – great for stuffed toy and doll storage especially if mine were more of an alien and less of a monster. 5 Orange Potatoes’ Moon Phases Dream Pillow tutorial – this was on my to do list for Christmas, but I didn’t get to it. Such a lovely idea. Can’t wait to make a few of these to have around the room. 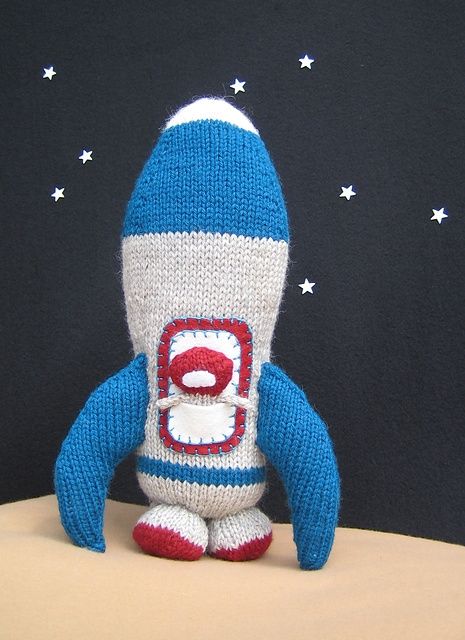 Katie Boyette’s knit rocket pattern from Ravelry – for all my knitters, you know who you are. molo felt rocks at padstyle – while I wouldn’t make them exactly like this, I like the idea of having wool felt pillows or strange foam shapes around the room and maybe even on the walls. munk munk’s felt circle picture found on craftster – I think this is really pretty and would be a fun, easy if time consuming project that PZ could help me with. If you’ve done a kid’s space room or have seen/heard/made any good tutorials out there in crafty blog land please let me know. I’ve got practically no budget, but am really looking forward to making the room a place the girls can feel comfortable and have a great time in. The carpet guy is coming tomorrow and I’m still in shock that the room idea is happening. Man, when Hubs finally relents to one of my ideas he doesn’t waste any time! Hooray!! Crocodiles team the murky waters beneath my 4 and 1/2 year old’s bunk bed, she bathes nightly in a pool of mermaids, the whole family transforms into pirates when we pull away from the curb, and Princess Tigerlily, Tink, and Wendy have all become regulars in our day to day conversations. My imagination has been sprinkled with pixie dust and taken flight as well. The color scheme, the mustaches, the pajama and top hat combo – its all so lovely and wonderful. Childhood defined! I’m especially taken by those adorable Lost Boys in their woodland animal costumes. PZ is simply addicted to this Disney movie. We borrowed several different copies of the book from our local library and the book on cd is one of her favorites. Neverland never seemed so close! Bolt *neighborhood‘s (go Portland!) fabric covered buttons look simple and like a lot of fun. I’ve bought the button making kits. I hope to get to it some time this weekend. These fish bowls from indietutes are SO cute. BTW this blog is one of my MUST READS! Giver’s Log felt flower rings are something PZ and I could work on during Q’s naptime. At Second Street’s suitcase dino playscape is totally awesome. I might have to do this with the kiddos this summer. Lavender and Limes colorful yarn jars are very cute, something my 4 year old could do during “quiet time” and a breeze on my supply list since I’ve given up trying to learn how to knit and we only drink out of jars around my house. Hubs is a breaker. eatmakeread‘s pretzel nuggets look so darn yummy and would satisfy the salt lovers in my house. Brassy Apple‘s ruffly spring top looks comfy and cute and not too hard to make. Dollar Store Crafts‘ eight dollar playhouse would be just the thing for my girls this summer. I’m totally making one of these! The 2×4 xylophone posted on Instructables will go great with the banging wall I want to build in my backyard. Smitten Kitchen‘s classic cobb salad looks delicious and just perfect for outdoor dinners. Dollar Store Craft‘s bicycle frame lunch bag would be a great gift to make for kid’s and adults both. I know a lot of people who would love one of these. Who wouldn’t love a ruffly steampunk parasol and what a simple restyle. I found this one on Dollar Store Crafts. Perhaps these lemon rolls with lemon cream cheese from eatmakeread could do double duty. They could make me feel like the happiest most loved mama around on this upcoming mama’s day AND fulfill PZ”s repeated request for lemon meringue pie after reading Amelia Bedelia every night for the last few weeks. I know a lot of women who have trouble finding cute clothes in regular size clothing stores. They want something that celebrates their curves, their sense of style, AND spending philosophies. A huge order, right? Well, listen up ladies! There are real people out there handmaking beautiful clothing for women just like you. I’ll share just a few great places with you if you promise to remember that you deserve to look and feel great, no matter what size you are. Deal? Deal! Whatever the occasion, sending a Thank You note shows class and doesn’t have to be as tedious and “because-you’re-supposed-to” as your Mom made it seem. Here are some great do it yourself note cards that will make both the sender and the receiver smile!